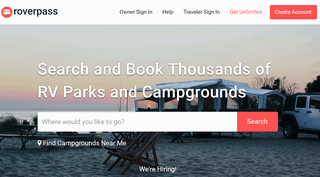 RoverPass is an online reservation system for RV parks and campgrounds in the US. It includes 20,000 listings with pictures, reviews, and more. 6,000 parks are bookable online.